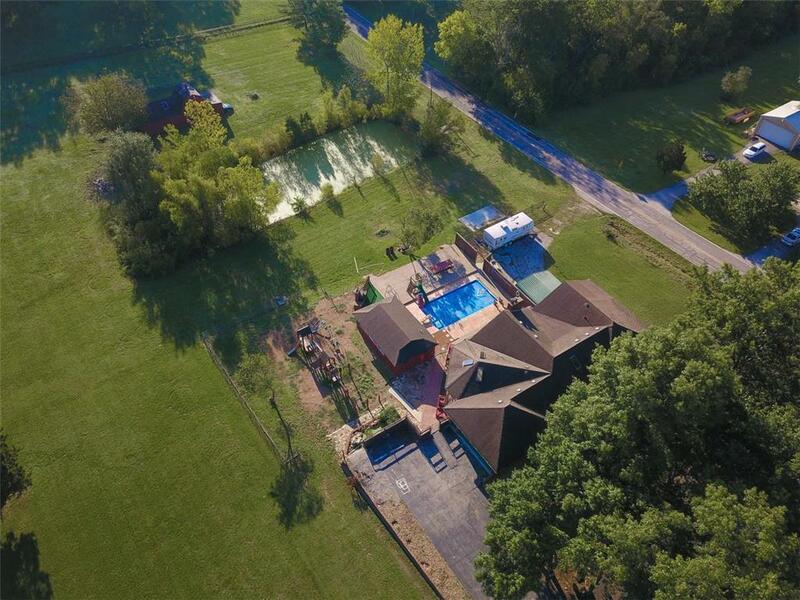 Brand New Comp Roof on this Wonderful Property on 3.36 Acres! Brick Ranch w/ Circle Driveway Boasts Huge Kit w/Granite Tops & Hdwd Floors, Grt Rm w/ Floor to Ceil Stone Fireplace; New Carpet in all Bedrms; Lge MBR w/Sit Area & Wlk Clst; Priv MBath w/Lrg Jetted Tub, Sep Shwr & Cer Tile; Sun Rm; Fin W/O Bsmt w/Wet Bar & 3/4 Bath; Ing Saltwater Pool w/ Cabana, Flagstone Patio & Huge Decks. 2 Stall Barn w/Conc Flr,110 Pwr & New Ext Paint. Seller Providing a Home Warranty for the Buyer. Hot Tub w/full Price Offer!